This is a very bizarre looking tool, but you quickly get the idea when you hold it. The design is simple, it holds a 20v lithium-ion battery in the bottom of the tool. It has the same grip and trigger set up as a drill. It takes a tube of grease, which you can get at any Home Depot, and slides in the canister on the front bottom of the tool. The canister has a pullout “T” handle on it that must be pulled out when a new tube of grease is installed. Then you press the handle all the way down and that pressurizes the grease into the tool. Next you take the cap off of the hose and squeeze the trigger until grease starts squirting out of the end. A bit of caution to those new to using these…the grease will squirt out at you if you’re not careful, so test this on a towel before you get it everywhere. The tool is rated at 10,000 psi so it has enough pressure to push past clogs in any valves that you may use it on. This tool makes greasing up the front suspension of a truck a breeze. With a simple squeeze of a trigger, you’re pumping in grease rather than having to hand pump it like old-school grease guns. You do need to make sure that you prime the canister before pulling the trigger though. Nothing will come out if you don’t push that handle down that squeezes the grease in the canister down far enough for the tool to pump/push it out. Once it’s been pushed down you’ll actually hear the pitch of the motor change telling you the tool is under a load. 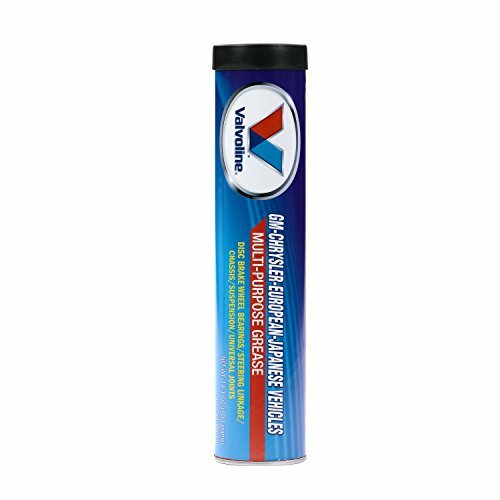 The Grease Gun features a powerful motor that delivers 10,000 max psi to power through clogged grease fittings. This grease gun is designed with a high-volume pump which pushes up to 5.0 oz./minute in high-flow applications. 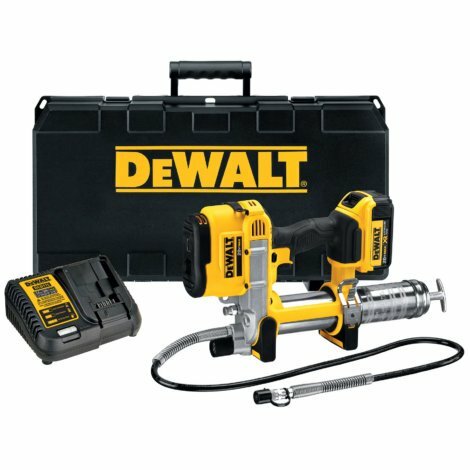 The grease gun is backed by a DEWALT 3-year limited warranty for added peace of mind. For its use, this tool is solid. I give it 5 stars, not because I will use it everyday, but because anyone in the automotive industry should. This is definitely a time-saver, as well as a muscle saver. I could see this tool revolutionizing how a auto-mechanic works on vehicles, well at least when greasing. 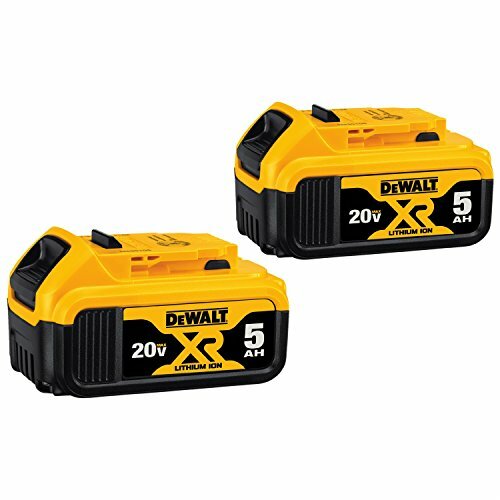 For more detailed information on this DeWalt Cordless Grease Gun CLICK HERE.